BrakeQuip tubing is chemically engineered to resist corrosion and make installation a breeze. Provide your clientele with BrakeQuip’s high-quality copper-nickel and stainless steel tubing today. For the ultimate combination of corrosion resistance and ease of use, choose BrakeQuip’s EziBend and EziBend 2 cunifer tubing. 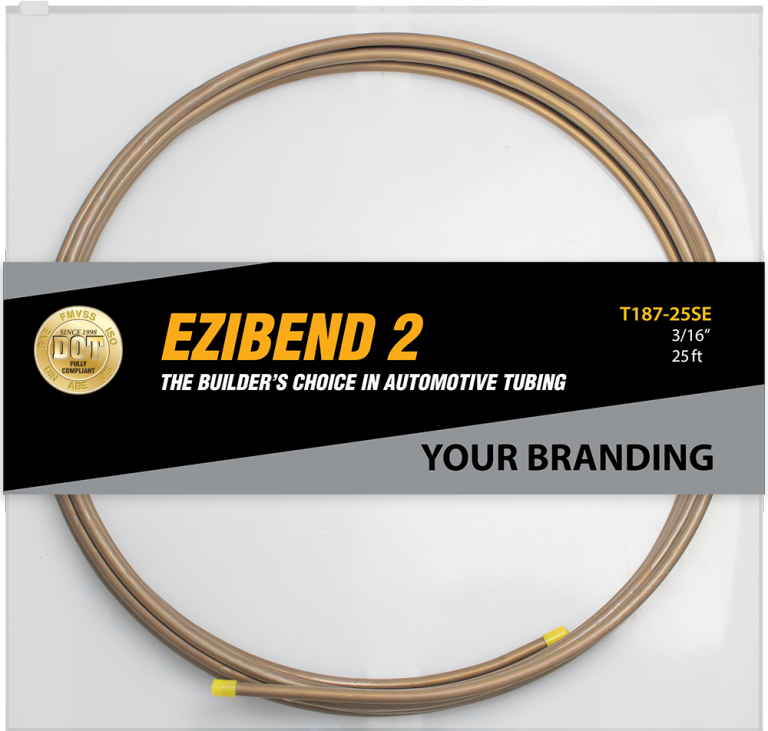 EziBend meets UNS C70600 material standards and is acceptable for automotive use. 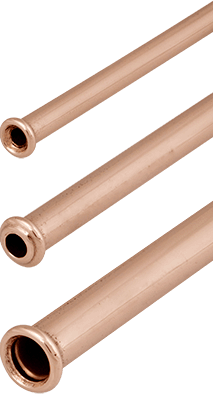 In copper-nickel tubing, nickel improves strength and corrosion resistance while allowing the tube to remain ductile. EziBend and EziBend 2 stood out in independent lab tests for nickel content against three of the largest cunifer suppliers in the US and the UK. EziBend meets UNS C70600 requirements for material composition and is compliant with US Department of Transportation and Federal Motor Vehicle Safety Standards. Many performance automobile makers use C70600 tubing. 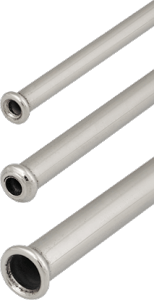 The pinnacle of automotive plumbing, our 316L marine-grade tubing has the highest level of corrosion protection and the stunning appearance of polished stainless. Our 0.028″ wall thickness and annealing process make it the builder’s choice for stainless installations. Private labeling is available for retail and wholesale opportunities. If we need to reach you at an extension, please provide the extension in your message.